Home The LOST Blog FREE GLOBAL SWIM SERIES T-SHIRTS!!! FREE GLOBAL SWIM SERIES T-SHIRTS!!! Hi LOSTies and LOST friends! So the big “LOST Race” and the new “LOST Mile” are coming up very soon… Saturday, August 13! I hope that you have all registered and will swim it… but we need a few volunteers too! 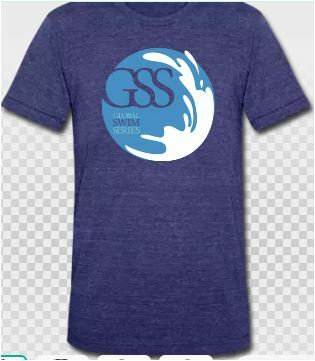 This year you will get a very cool “Global Swim Series” t-shirt for volunteering too! We are looking for some “on shore” and “on water” volunteers and shuttle vehicles. The races start at 8am, and generally are completely finished by 10:30am. If you are volunteering it is safe to assume you will be required between 7am and 11am (and yes, we sign for student volunteer hours!). Some of the jobs are only needed before the race and some only after, and most are pretty simple jobs… but we still need your help! If you are coming to watch, why not get involved and help… it’s a lot more fun! We are always looking to get as much support ON the water as possible. This role involves paddling along with the swimmers, spotting and directing swimmers getting off course, and identifying swimmers in distress. 1) We are looking for kayakers, SUP’ers, Canoeists, zodiac or Jet-skiers. If you do not have any of these, but are comfortable in/on one, we can source it for you! If you cannot make it but can donate a SUP/Kayak for the morning – please also let us know. Requirements: being comfortable in a kayak, on a SUP or any other on-water vehicle. Contact Mike – mike@webtraxx.com – with questions or to volunteer your time or on-water vehicle! Mike Morton, the King of the Kayakers!… the only guy I hope never learns to love swimming! Arrive at the start line one hour before the start of the race. Stand in a safe zone just outside the start line and direct racers to the parking areas. Easy, peasy. After the race starts, assist with registration area clean up and load bags into transport vehicles. Easy, peasy… again. Arrive at the start line one hour before the start of the race… to draw on people! Preferably draw race numbers on swimmers. Arrive at the finish line immediately after the start of the race. Set up nutrition/snack table. Hand out drinks and snacks to swimmers as they come out of the water. Cool job because you get to see everyone as they finish the race! After completion of the race, remove equipment, trash and leave the area better than we found it. Many hands make light work. Drivers with vehicles are needed to move the “bag check” and some equipment from the start to finish. Quick and easy. You get a walkie talkie and are “on-call” to drive along lakeshore and pick up any swimmers who could not finish. They will be pretty easy to spot… walking along lakeshore in their wetsuits! Most years we don’t have any, but we need to have someone on call. Please email Darren at dosborne@ovma.org to sign up for a position. Darren is never taking his medal off… and framing this picture too! Previous articlenice to get that out of the way… my 6 hour qualifying swim! Next articleNo sharks… but watch out for our own LOST aquatic-life!